Yellow-spotted salamander was taking a night-time stroll across the porch on Friday night. Spotted salamander generally lives underground, but comes out to seek a mate in the spring. Red tips stand out in this cushion of lichen. Most of the red tips are about the size of a pinhead. Tiny as they are, the bright red of these fruiting bodies really stands out against the gray-green of the lichen clump. 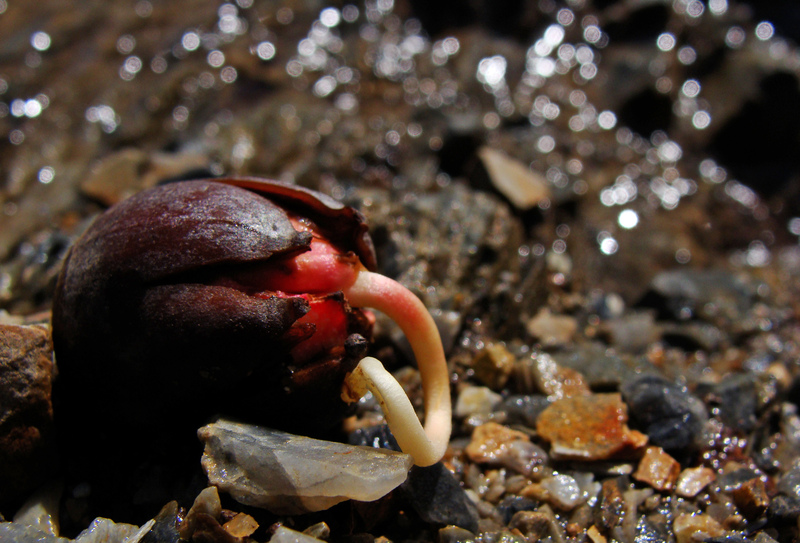 Acorn giving spring its best effort next to a temporary stream filled with days’ worth of rain and snowmelt.